Say Hello to Eva Garden, our NEW Makeup studio! 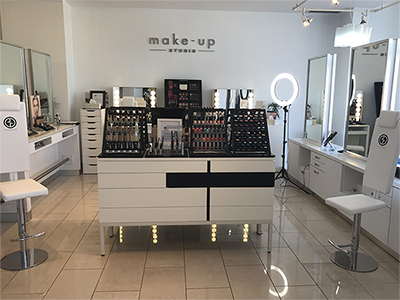 Whether you are looking to elevate your beauty routine or need something for a special event, our new makeup studio – Eva Garden – will have you feeling beautiful and confident. Eva Garden features top-rated makeup all the way from Italy, so you know you are treating your face to the very best products. From eyeshadows and lip colours to foundations and blushes, we can help you achieve your desired look, all in our new studio. The Rinaldo team was lucky enough to have a makeup artist come all the way from Milan to train us, so you can rest assured that you will get top of the line quality and service when you come to us for all your makeup needs. Stop by our location to check out our fabulous new studio, and to book an appointment! Book with a stylist today!